Are You Ready to Take Control and Transform Your Health and the Way You Feel? 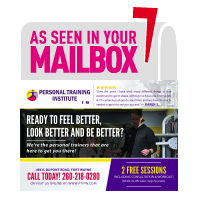 At Personal Training Institute, our focus is losing weight, increasing strength, and helping you feel better. We help you form small habits that develop into lifelong success – small changes produce big results!And that’s what you want right! If you’re ready to commit to improving your quality of life, we’d love to have you as a part of the PTI Family! Find out more about our FREE Consultation and Workout!